In Part 1 and Part 2 of KPB’s mini-series, Parents’ Role in the Recruiting Process, we discussed in detail the ideal role for parents in the recruiting process, and provided suggestions for the ways parents can assist their son during the different steps or phases of the recruiting process. If you haven’t read those articles, we suggest doing so before continuing. In this final part of the series, we turn our attention away from when parents should let their son hold the reins and discuss the parts of the recruiting process where parental involvement is critical. You may remember the learner’s permit analogy we used to describe a parents’ role in the recruiting process in part 1. That same analogy can be used to describe when you step in and play a more prominent role. Most of the time, your son is driving the car and you are there to help guide him and make sure he drives safely. There are, however, times when you may decide it’s best if you take the wheel. Maybe it’s driving in a big or unknown city that he’s not ready for or during times of heavy traffic. Maybe you also help your son out with gas money from time to time or pay for the car’s upkeep. 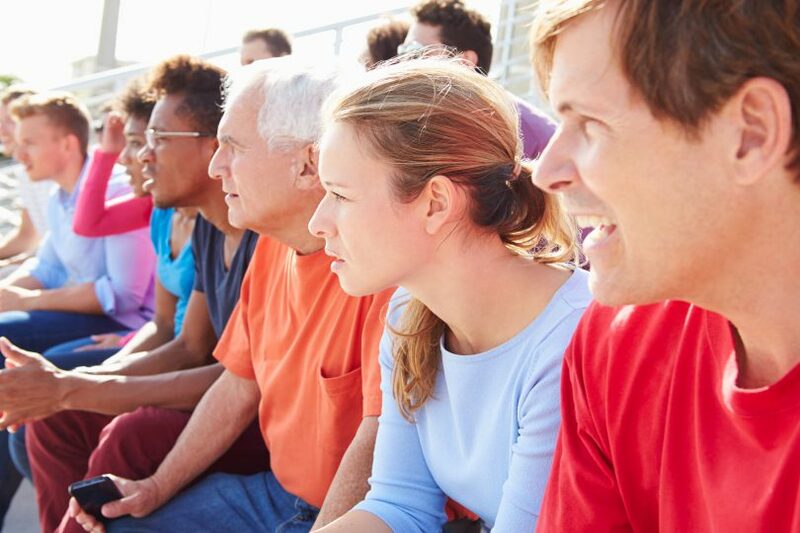 Like the driving and car upkeep, there are a handful of key roles or times in the recruiting process where your involvement needs to have more of a presence. Below we discuss parents’ most important roles and some of the big moments when you can take the lead and make a big difference. The more you know about the recruiting process, the more you will be able to help your son. Be a resource he can lean on with questions or someone he can use to help him with his own research. Understanding the way things work and being there to help your son ask the important and difficult questions will also help lessen the chances that he gets taken advantage of or duped by coaches who go through this process dozens of times each season. The recruiting process has many ups and downs. Be there to help your son keep the big picture in mind and avoid the emotional roller coaster. The best way to do this is to help keep your son focused on things that he can control– getting better, doing well in school, coming up with a good plan, working hard, etc. This is a critical role of a parent and will help to create a much more enjoyable recruiting process for your son. Be on the same page as your son from start to finish and be involved at the level you feel necessary as he goes through the process. 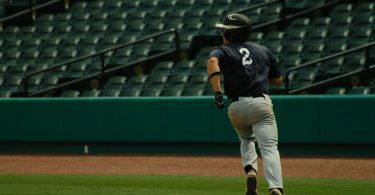 Help your son create a list of the characteristics that are most important to him in a baseball program and college experience (size, location, level of baseball, education, playing opportunities as a freshman, cost of tuition, etc.). Use this worksheet to help your son figure out what is most important to him. This is where you can add in your two cents and help influence the schools that he targets and the way he views his decision. 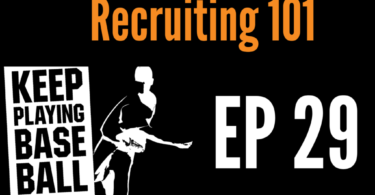 Make a list of the most important/must have characteristics and let the list evolve with the recruiting process. This list should inform your son’s final school choice. Understanding and talking about this list on a regular basis will help prevent making irrational or emotionally charged decisions. Many recruits and parents fall into the trap of making decisions on things like the quality of the stadium, locker rooms, or gear. Nice stadiums and locker rooms are great, but is that really what you want your son to base such a life-changing decision on? Probably not. As a parent, you can do a big part in preventing these mistakes from happening. It may be your son’s choice, but your perspective is invaluable and letting a teenager make such an important decision on his own is something you will want to think long and hard about. Once your son has a list of characteristics that are most important to him, he can use a search tool like College Board’s College Search to help you create a preliminary list of schools. When it has to do with money and finances, take the lead. This goes for setting the recruiting process budget and picking a program. The last thing you want is to have your son set up to go to his dream school only to find out he can’t afford it at the last minute. You should never feel bad about getting all the answers you need to make an informed decision, and this is especially the case with cost and financial information. 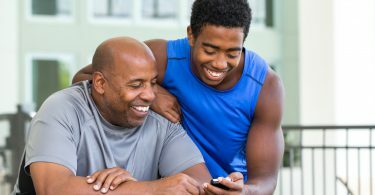 Have your son connect you with the coach (rather than calling out of the blue) so your can ask all the questions you need. When coaches start talking about cost of attendance and scholarship money, that’s when you can and should take charge of the conversation. Ask clarifying questions and always make sure you know how much an offer will have you paying out of pocket. If you are confused by the way a scholarship is described consult our Making Sense of Your Scholarship Offer or A Step-By-Step Guide For Comparing Multiple Offers and ask lots of questions. Avoid making demands or asking for more scholarship money, especially in your initial face-to-face meeting. Your tone is incredibly important when talking about finances. 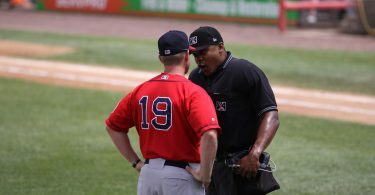 Since baseball isn’t a sport with lots of scholarship money, coaches can be sensitive if they feel like you are insulting an offer that they may have really worked hard to create. Many times, coaches have their hands tied financially with current scholarships on the books, but you shouldn’t feel bad about having constructive conversation about cost. It is okay to provide coaches with a realistic view of your college budget and they may even be able to refer you to more outside sources that can help. Financial discussions are often better had after you have had time to sit down and look at all the financial facts, talk with your son about his interest in the school, and come up with a plan. Instead of coming back to the school and saying their offer is not enough or that you need a better offer, give them information that they can understand. For example, “We can afford to pay X amount out of pocket each year” or “With your current offer, we are X dollars short of what we have set aside for college, do you know anywhere we can look for help covering the rest?” By helping the coach to understand what is feasible, you create constructive dialogue rather than make demands which can be offensive. At many high schools, academic counselors have too many students and are stretched thin for time and resources. Even if this isn’t the case for your son’s school, both you and your son need to familiarize yourself with the recruiting process, eligibility, the NCAA rules, and the different levels of baseball. 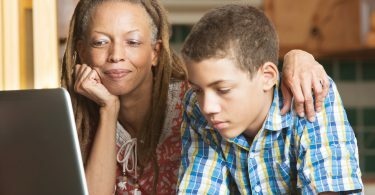 You and your son are responsible for making sure he is taking the right classes and meeting eligibility requirements, no one else. Don’t let your son assume he is in good shape, act as his academic counselor yourself. You can really help by making sure your son is on pace to meet the NCAA academic eligibility requirements. Take the time to help your son map out the courses he is planning to take from now until graduation. Is he meeting NCAA core class requirements? You can check to make sure each one of his classes qualify as NCAA approved core courses here. Is his NCAA core GPA high enough? Has he registered for and taken the SAT or ACT? You can find out more about these requirements here. 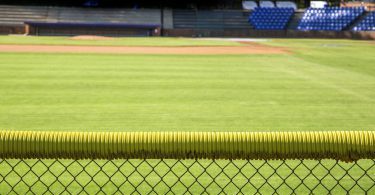 Set up an academic plan and review it with your son at the beginning of each new semester to ensure that the NCAA eligibility requirements don’t prevent him from fulfilling his college baseball dreams. Of course, NCAA requirements are just the minimum. Having good grades and test scores will give your son many more college baseball opportunities. In discussions with college coaches, you will want to make sure you are 100% clear on the academic expectations for your son moving forward. 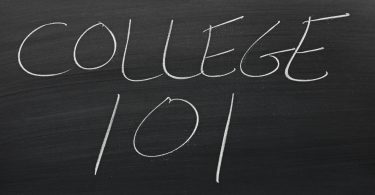 You need to know what your son will need to do to stay eligible, be admitted, and maintain his scholarship and/or financial aid package moving forward. These 5 roles should provide some clarity on when it’s time for you to take charge as a parent, and it’s important to know that coaches do want you to be involved in the recruiting process and are happy to answer parent questions when they are asked the right way. Coaches simply don’t want you to steal the show or answer for your son. If you have questions or are feeling shut out of the process, have your son set up a time for you to talk to the coach and have your questions answered. Think about what you want to ask in advance and remember that tone makes all the difference. By following the guidelines of this mini-series, you’ll keep yourself in the good graces of your son and coaches alike, all the while playing an important and influential role in creating a bright future for your son, on and off the field.